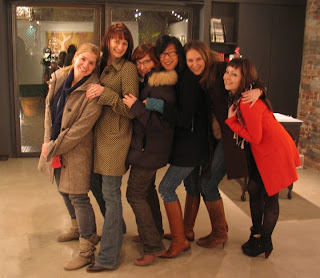 December Show + For-Ever-Green Opening Success! 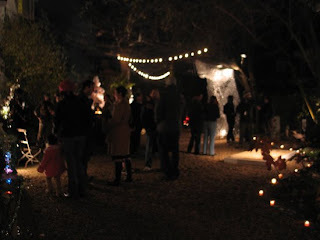 We had a great time last Saturday evening, going all out with hot apple cider to a merry bonfire. 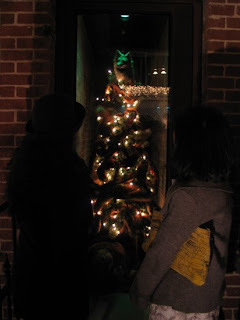 Thank you all for coming out to see the December Show and the For-Ever-Green in its full night time glory. 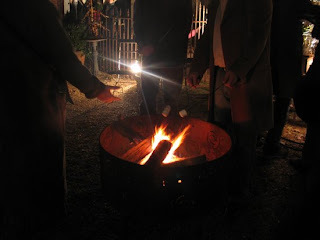 Candles lit along the edge of the garden, marshmallows toasted in the fire, and roaring crowds warmed up to the sip of extra “butter” in our cider. Watch out for the invitation of our closing reception in January! Let’s continue the festivities well into the new year. 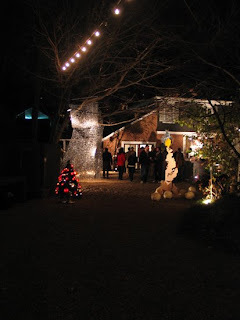 And on that note, feel free to wander into Whitespace garden in the weekend evenings! 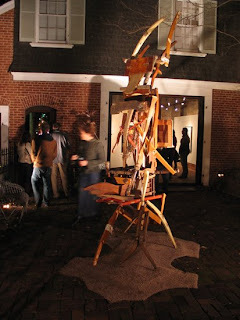 Whitespace will keep the lights on for Thursday, Friday, and Saturday nights until 9pm until the show ends January 10th. Enjoy! 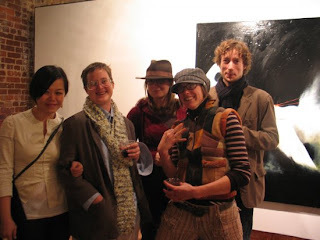 Whitespace artists Beth, Caroline, Julia, and Jonathan ! 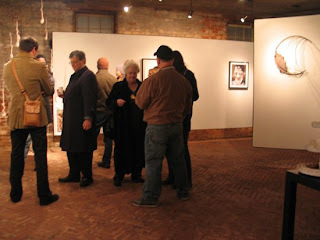 This entry was posted in Events, Group Show on December 20, 2008 by Whitespace.